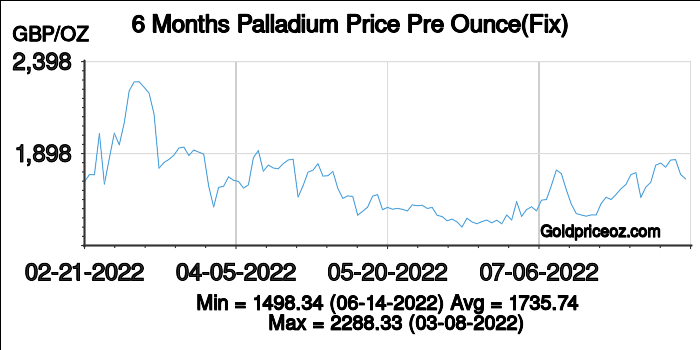 Palladium price in United Kingdom in Pound Sterling(GBP) per ounce is a free service provided by Palladium Price OZ website, where shows current palladium price(including bid price and ask price) and palladium price history chart(London palladium fixing price). 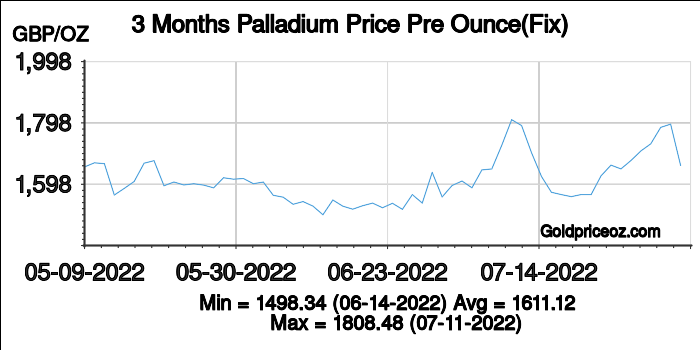 Palladium price in United Kingdom per ounce today is being updated once every 1 minutes. 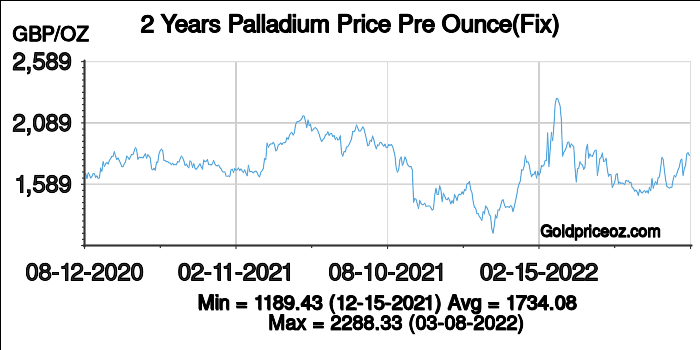 London gold market or London Bullion Market is by far the largest global centre for OTC transactions, followed by New York, Zurich, and Tokyo. 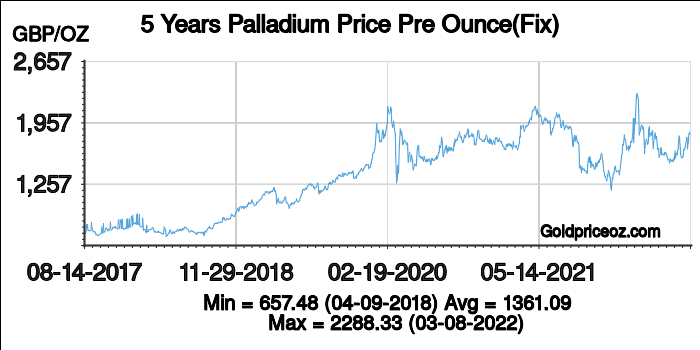 It owns a long history for gold and palladium trading. In 1804, London replaced Amsterdam as the center of world gold trading. In 1919, the London gold market was officially established, twice fixing gold price in a business day. So far, the London fixing price affects trading in New York and Hong Kong. 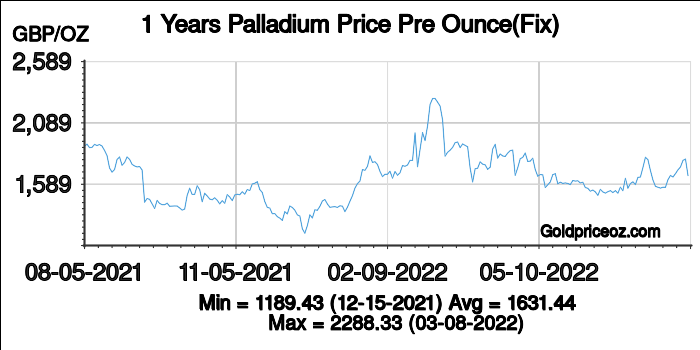 In 1982, the London gold market specializes in spot trading; in April 1982 futures market opened.